Sports Rehabilitation Unlimited, LLC is a physical therapist-owned clinic providing physical therapy and sports rehabilitation services in Middleton and the North Shore including Danvers, Peabody, Topsfield, Boxford and surrounding communities in Massachusetts. Our licensed and experienced physical therapists and physical therapist assistants will help you overcome pain, injury, and dysfunction that impact your ability to function to your normal level of activity and keep you from enjoying your full quality of life. We offer a multi-disciplinary approach to treating injuries sustained through participating in sports and recreation at every level so patients can regain their pain-free mobility and return to their activity as quickly as possible. We combine effective physical therapy interventions with clear, concise patient education to ensure that patients do not fall into a pattern of recurring injuries. Among the common sports-related injuries we treat are sprains, strains and fractures. Whether you are a high school soccer player, a collegiate lacrosse player or a professional hockey player, we work with you to help you improve your performance and prevent further injuries. Our staff is specially trained in orthopedics, the science of correcting injuries and conditions that impact the skeletal system and its associated joints, muscles and ligaments. Research has shown that having physical therapy both before and after a joint replacement surgery will promote more efficient healing and lead to a more satisfactory recovery. We are knowledgeable about joint replacement surgery and other orthopedic surgical and non-surgical interventions and will work with your surgeon and physician as a team to determine the most effective intervention for you. With the use of evidence-based therapy, a combination of hands-on manual therapy and modalities, our goal is to improve your flexibility, range of motion, strength, and function to return you pain-free and without limitation as you resume your normal, active lifestyle as quickly as possible without recurring problems. 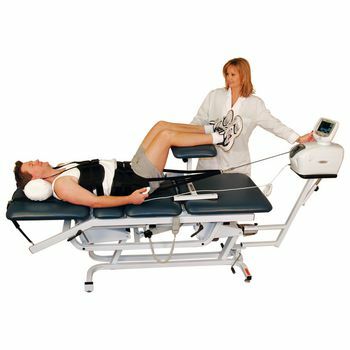 At Sports Rehabilitation Unlimited, we are pleased to offer patients the opportunity to use the amazing AlterG® anti-gravity treadmill (http://www.alterg.com/). See how the AlterG Anti-Gravity Treadmill actually works! The AlterG Anti-Gravity Treadmill utilizes an exclusive NASA-patented Differential Air Pressure unweighting technology. AlterG products have been proven to shorten injury recovery times, reduce injury occurence, and improve mobility for patients. AlterG is committed to advancing technology to improve possibilities of healing, recovery, training, mobility, and performance. Whether that means running a marathon or walking to your living room, their goal is to bring you products and technology to keep you healthy and on your feet. As a member of the physical therapy and athletic training communities, the AlterG Anti-Gravity Treadmill is utilized in a wide-variety of ways to improve patient outcomes and help patients achieve personal bests. One of the most common reasons people seek physical therapy is to find relief from neck and back pain. Both conditions can deter us from living life to our normal level of activity and seriously impact our quality of life. After determining the primary source of your pain, we develop a customized treatment plan to begin to address the healing process, combined with a series of exercises and patient education to help prevent recurring problems. Evaluating and understanding the primary source of your dysfunction, pain, or injury is a significant first step to developing a customized plan of care that prevents recurring injury. We will work with you to assess the extent to which your injury and/or dysfunction can be prevented, and prescribe specific exercises that will allow you to take control of your condition between physical therapy sessions. Sports Rehabilitation Unlimited is an organizational affiliate member of STOP Sports Injuries, an outreach program which focuses on the importance of sports safety-specifically relating to overuse and trauma injuries. The initiative not only raises awareness and provides education on injury reduction, but also highlights how playing safe and smart can enhance and extend a child's athletic career, improve teamwork, reduce obesity rates and create a lifelong love of exercise and healthy activity. We will take the time to complete a thorough and comprehensive gait/running assessment with the AlterG Anti-Gravity Treadmill and determine the primary source of the problem. By focusing on the cause of the dysfunction and then providing customized intervention to address the situation, we work to get you back to your activity as quickly and painfree as possible. Our skilled and experienced physical therapists provide effective manual therapy to help each patient overcome their impairments and limitations. Among the joint and soft tissue mobilization techniques we offer are Maitland-Australian and Mulligan-New Zealand approaches as well as advanced muscle energy and strain-counterstrain techniques. The Maitland Approach® is a foundation of modern orthopedic manual therapy for the treatment of spinal and peripheral conditions. The philosophy is patient-centric and is recognized around the world as a safe, effective means of evaluating and treating patients. The specific techniques aid in relieving pain, reducing inflammation, and restoring movement and function. The Mulligan Concept® is a form of manual therapy especially effective in the treatment of musculoskeletal injuries. The Kinesio Taping Method is designed to facilitate the body’s natural healing process while allowing support and stability to muscles and joints without restricting the body’s range of motion. Kinesiotaping is used to successfully treat a variety of orthopedic, neuromuscular, and neurological conditions. Kinesiotaping helps to "re-educate" the neuromuscular system, reduce pain, optimize performance, prevent injury and promote improved circulation and healing. Blood flow restriction (BFR) training is a training and rehabilitation strategy involving the use of cuffs placed around the arms or legs during exercise, to maintain/alter arterial inflow to the muscle while preventing venous return (venous occlusion). The lack of venous return creates a swelling effect of the muscle, which in turn, allows metabolites such as lactate, to accumulate and stimulate muscle growth. In addition, the hypoxic environment from temporarily and briefly decreasing arterial flow to the limb, causes muscles to fatigue and stimulates the nervous system to recruit fast-twitch muscle fibers, which have the greatest capacity to grow. Benefits of BFR training include increased muscle size (hypertrophy) and strength, increased cardiovascular capacity (VO2max), decreased joint/tissue stress, minimal to no muscle damage and delayed onset muscular soreness (DOMS), and all with minimal recovery and low intensity exercise required. We are skilled in the Graston Technique® and Sound Assisted Soft Tissue Mobilization (SASTM), innovative, patented forms of instrument-assisted soft tissue mobilization that enables us to effectively break down scar tissue and fascial restrictions. These techniques use specially designed stainless steel instruments to detect and treat areas exhibiting soft tissue fibrosis/scarring and/or chronic inflammation. 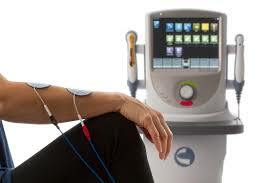 In addition to the Graston tools, we use other manual tools to provide instrument assisted soft tissue mobilization. For example, Fibroblaster™, Jack™, and Hawkgrips tools assist our therapists to decrease soft tissue dysfunction, increase muscle flexibility, improve joint mobility, and decrease pain perception. Our therapists prescribe dynamic, functional exercises for each patient’s needs. Individualized exercise programs are clearly explained to apply to each patient’s specific injury or condition. Whether the goal is to improve flexibility, range of motion, strength, or endurance, physical therapists and physical therapist assistants at Sports Rehabilitation Unlimited create comprehensive exercise programs customized to each patient’s needs, allowing for safe, efficient return to work, sport, or activity. Foot Management is a custom orthotic laboratory with more than 35 years of experience in manufacturing custom foot orthotics. Foot management is accredited by the Prescription Foot Orthotic Laboratories Association and is a member of the Pedorthic Footwear Association. Utilizing laser scans of the foot, Foot Management manufactures a wide variety of appliances specific to your comfort and fit. Aline performance insoles have broken the mold of insole design by creating an engineered suspension system for your feet. Aline’s revolutionary innovations are supercharging the careers of the world’s best athletes and improving thousands of lives at work and at play. At Sports Rehabilitation Unlimited, we offer modalities such as mechanical cervical/lumbar traction, low-level laser therapy, electrical stimulation/biofeedback and iontophoresis/hybresis. Game Ready® wraps feature a patented, dual-action ATX® (Active Temperature Exchange) design that integrates proven compression and cold therapies like never before. Deep cooling reduces swelling, muscle spasms, and pain. Simultaneously, active pneumatic compression helps the body pump away edema and stimulate oxygenated blood flow to accelerate recovery.